Icicles No. 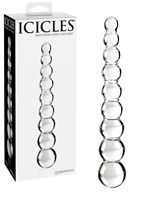 26 - Hand Blown Glass..
Icicles No. 61 - Hand Blown Glass..